Using silver nanoparticles to improve antibacterial activity, developing algorithms for enhancing multiview video coding, exploring the chemistry of sulfamides, characterising the rainfall in Birzgane in the middle paleolithic period, and investigating alzheimer disease in Algerian patients. These are the themes of the research papers that won the 2015 Algerian Paper of the Year Awards, an annual event organised by the Algerian Network for Academics, Scientists & Researchers (anasr.org) to celebrate and promote the best of scientific output produced in Algerian universities and research centres. 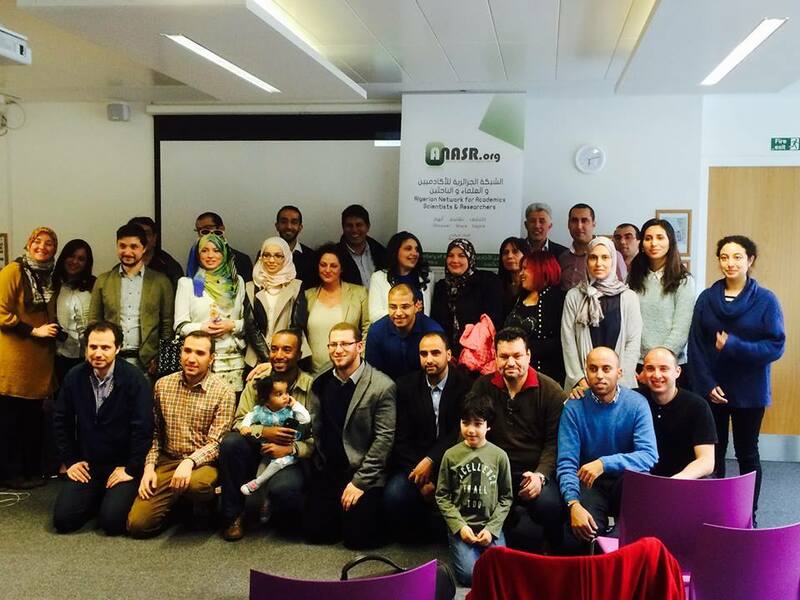 Running in its third edition, anasr.org’s awards initiative continued to be distinguished by the fact that it is independently organised and fully sponsored by the community of Algerian academics, scientists and researchers across the globe. 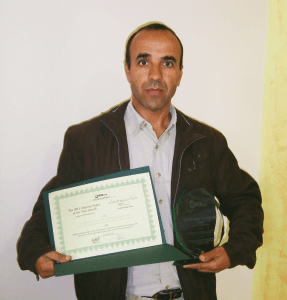 As a principle, we at anasr.org are especially keen on ensuring that these awards are, above all, a renewed opportunity to build and strengthen ties between the Algerian scientific community inside and outside of Algeria. The following report describes the details of this year’s edition of the awards, including the organisation and selection processes, the announcements event, and the ultimate winners of this competition. This year’s awards followed the same process as the previous two editions. In the spirit of openness and participation, we start the event off each year by an open call for members of the community to join our Awards Committee. The committee is open to anyone with relevant expertise and who is willing to volunteer their time and efforts. Its main role is to oversee the running of the awards from start to finish. As in previous editions, this involves managing a three-stage selection process, a typical structure that seeks transparency and rigour through nomination, shortlisting, and peer-review. We opened the call for nominations to the community on January 1st 2015. We accepted nominations in the usual five categories; Biological Sciences; Chemical Sciences; Computer Science & Engineering; Medicine, Pharmacy & Veterinary Sciences; and Physical Sciences & Mathematics. The criteria for nominating papers was also kept the same as in the previous editions. Namely, that 1) the nominated papers must have been published either online or in print between the 1st of January and 31st of December of the previous year, 2) the majority of the work must have been carried out at an Algerian university of research centre, 3) the papers report on original research rather than reviews or book chapters. This year, we also instructed participants to limit their submissions to one paper per nomination in order to improve the management of the nominations stage. In addition to advertising the call for nominations on various social media outlets, the awards committee also actively invited authors to nominate their papers through email correspondence. Each year, we do this by searching through online repositories and journal databases as well as conference proceedings (e.g. ISI Web of Knowledge, ACM Digital Library, IEEE Digital Library, SpringerLink, PubMed, etc.) using keywords such as “Algeria”, “Algerian” and “Algérie”, and contacting corresponding authors to invite them to nominate their papers. 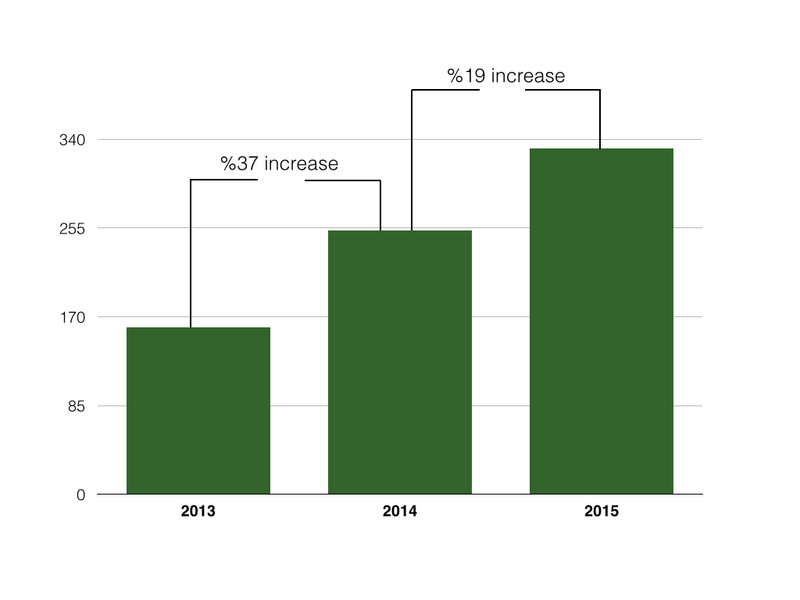 This year, we have sent around 600 email invitations. As a result of this process, we received a total of 331 papers (compared to 160 and 253 nominations in the first and second editions respectively). 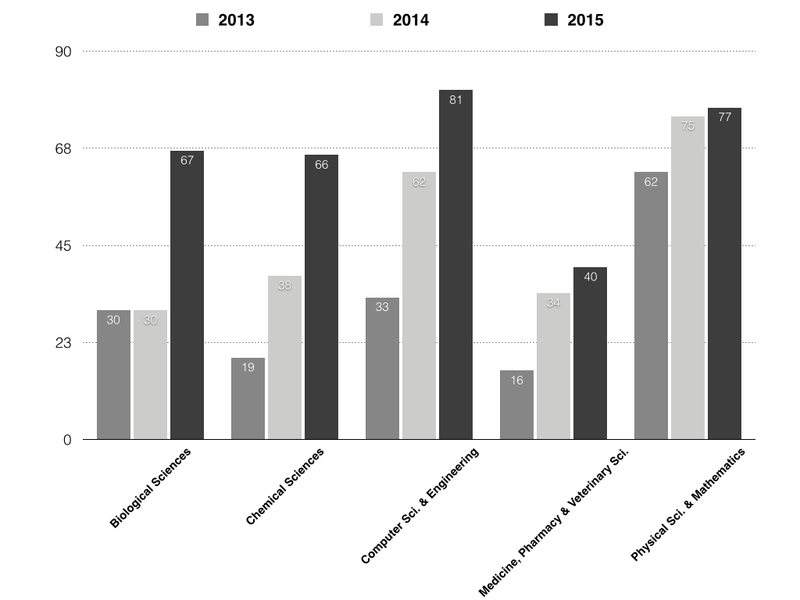 We received 67 papers in Biological Science, 66 in Chemical Sciences, 81 in Computer Science & Engineering, 40 in Medicine, Pharmacy & Veterinary Sciences, and 77 in Physical sciences & Mathematics. Besides marking an overall increase of about 48% in the number of nominations since the first edition of the awards – which testifies to the growing popularity of this initiative amongst our colleagues in Algeria – we were particularly pleased that this year’s nominations were also fairly equally distributed across all five categories of nominations. The next stage in the selection process is the creation of shortlists in each category of nomination. To do this, we again sent an open call to the community to volunteer their time and efforts to help us make sure that the nominated papers match the nomination criteria highlighted above, as well as to select the top papers that constituted the most promising papers to win the awards. As was the case in previous editions, we did not put restrictions on how members of the shortlisting panel should go about choosing who they thought were the top papers. However, we asked them to take into consideration the following general questions: 1) is the work novel? 2) does it address significant aspects in its field of specialism? 3) are the experiments and analyses rigorous and well presented? At this stage, we try to ensure that the expertise of the members of the shortlisting panels span a wide range of fields in each category of nomination. This is particularly important for papers nominated under the Computer Science & Engineering and the Physical Sciences & Mathematics categories, since these tend to cover a wide range of topics. Each member of the shortlisting panel provided us with a ranking of the top papers in each category of nomination. We then corroborated scores from a total of 22 shortlists to determine the top papers in each category of nomination. The final stage of the selection is the peer-review. The aim is to send each shortlisted paper to at least three international reviewers within corresponding fields of expertise. At this point, our aim is to engage with high calibre researchers from around the around who scrutinise the papers and score them on the following criteria: 1) novelty of the work, 2) quality of the experiments, statistics and/or other analyses, 3) significance of the findings, 4) presentation of the work in terms of structure and language standards, and 5) potential impact. 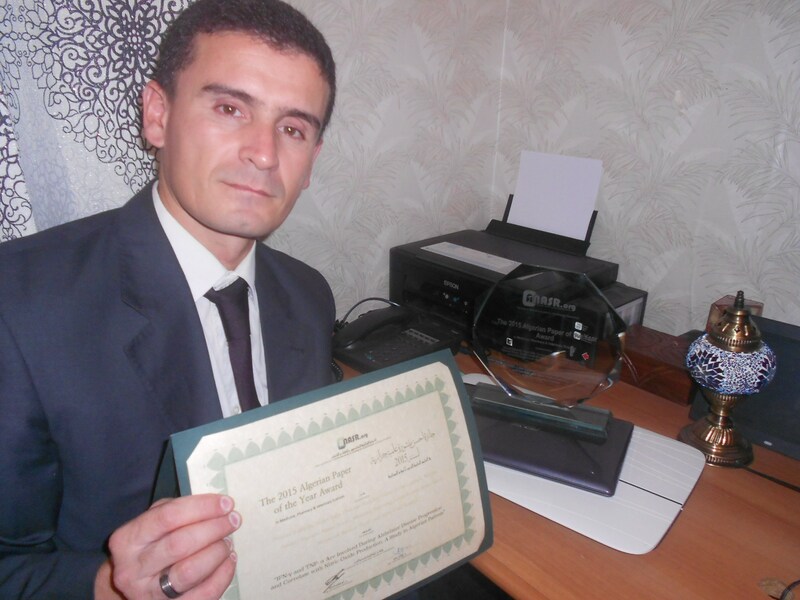 Papers that score the highest are selected as the winners of the 2015 Algerian Paper of the Year Awards in their corresponding nomination category. Following the above process, we collected final scores from a total of 26 international academics, scientists and researchers. Their scores were verified by two independent individuals and were conclusive across all categories of nominations. 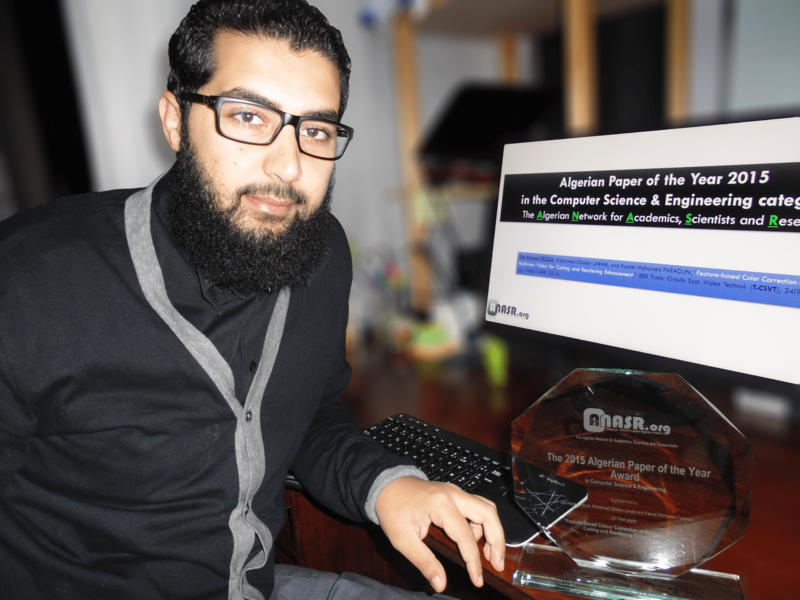 The winners of the 2015 Algerian Paper of the Year Awards were announced in an event that was held on the 2nd of May 2015 at Queen Mary University of London in the UK. The event was also live streamed over the internet. In line with our objective to build bridges between academics, scientists and researcher inside and outside of Algeria, the event this year included contributions from prominent Algerian researchers and scientists from around the world. We also contacted the winners live to congratulate them on their award winning papers. Prof Moahemd Saad, professor of Innovation and Technology Management at the Bristol Business School, the University of the West of England, gave a keynote talk entitled “The changing role of universities and their links with socioeconomic development: The case of Algeria”. 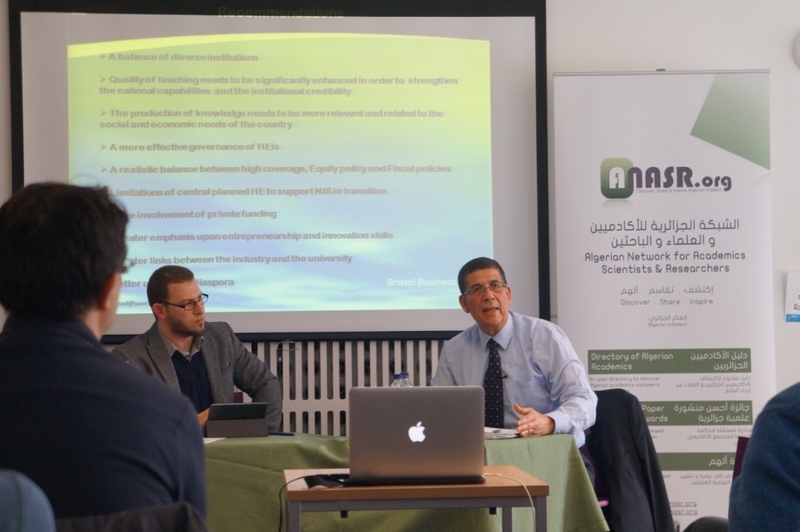 The talk described the extent of the contribution of the Algerian higher education sector within the national system of innovation and the degree of relationships that exist between industry and universities in Algeria. Prof Saad also described the different types of linkages that exist between industry and universities in Algeria and the main mechanisms used to establish these links. He also addressed the questions of motives to universities in establishing links with the industry and the potential barriers that can impede such links. This year, we were also delighted to have a number of special guests who announced and presented commentaries on the winning papers. Dr Abbad Abdennour who leads the Biosensors and Bio-nanotechnology lab at the University of Minnesota announced the winners in Biological Sciences, Dr Yassine Amrani from the Department of Infection, Immunity and Inflammation at the University of Leicester announced the winners in Medicine, Pharmacy & Veterinary Sciences, and Prof Nidhal Guessoum, professor of physics at the American University of Sharjah announced the winners in Physical Sciences & Mathematics. Additionally, Dr Youcef Mehellou, a lecturer in Medical Chemistry at the University of Birmingham, and who also co-chairs the Algerian Paper of the Year Awards initiative, announced the winners in Chemical Sciences, and Dr Ghita Kouadri-Mostefaoui from the Department of Computer Science at University College London, who was also a volunteer member on this year’s awards committee, announced the winners in Computer Science & Engineering. Authors’ affiliation: Laboratory of Cellular and Molecular Biology, Faculty of Biological Science, USTHB, Algiers, Algeria. Department of Neurology, Mohamed Lamine Debaghine Hospital, Algiers, Algeria. anasr.org is an independent initiative, developed and maintained on a voluntary basis without external funding by a dedicated and growing team of Algerian scientists and professionals. As a community-led initiative, we at anasr.org strive to seek funding only from the community that we aim to serve, in line with our core mission and principles. 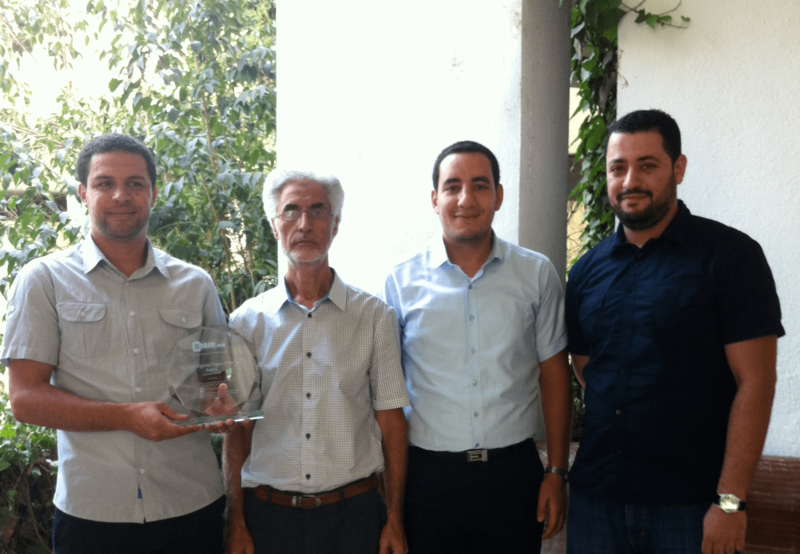 As was the case with the previous two editions, we thus turned to the community to raise the funds needed to sponsor the 2015 Algerian Paper of the Year Awards. The crowd-fundraising process was vastly successful and the community came together, once again, beautifully and generously to help us cover the full costs of the awards, which included producing the award plaques and certificates, their shipment to Algeria as well as the costs of hosting the winners’ announcement event in London. We would like to thank everyone who shares our believes and aspirations for the Algerian academic and scientific community and who supported this initiative so generously with their donations. 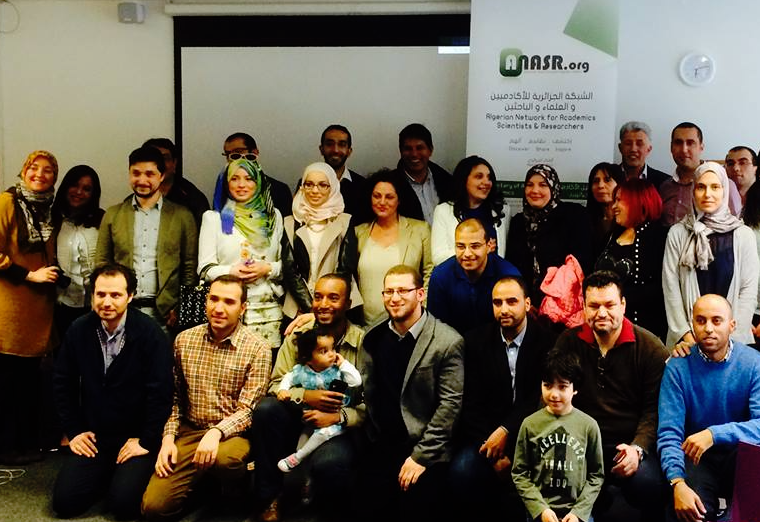 anasr.org and its awards committee would like to thank all participants who nominated their papers for The 2015 Algerian Paper of the Year Awards, all those who participated in the shortlisting and reviewing panels, the keynote speaker at the winners announcement ceremony, Prof Mohammed Saad, and our special guests who provided insightful commentaries on the winning papers; Dr. Abdennour Abbas (USA), Dr Yassine Amrani (UK) and Prof Nidhal Guessoum (UAE). The anasr.org team would also like to thank our fellow colleagues who volunteered their time and effort to be part of this year’s awards committee: Dr Abderrahmen Zoghbi (USA), Dr. Ghita Kouadri-Mostefaoui (UK), and Dr Abdelmalik Bachir (DZ). 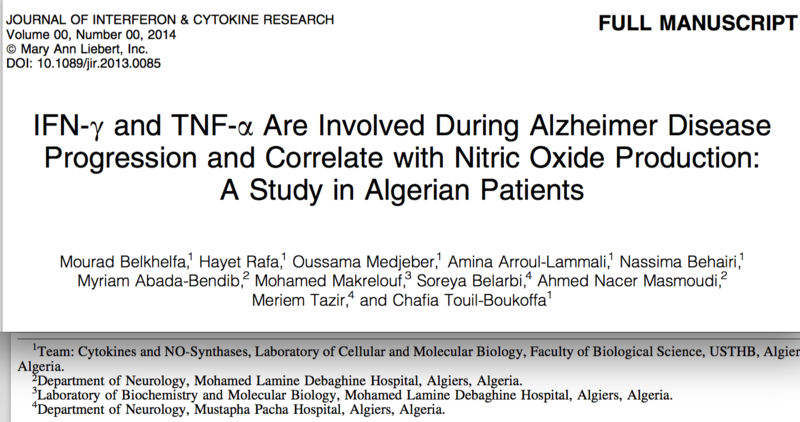 Many thanks for the wider community of Algerian academics, scientists and researchers and students, and everyone who supported this initiative in so many ways. And of course many congratulations to all the winners of this year’s edition of the awards. We are indeed already looking forward to the next edition of the Algerian Paper of the Year Awards to engage with our community and discover, share and inspire the best of Algerian intellect.